It may seem that Hollywood is swiftly becoming naught but a hotbed of sequels and reboots, but three high-profile projects in the news this morning at least have real potential. 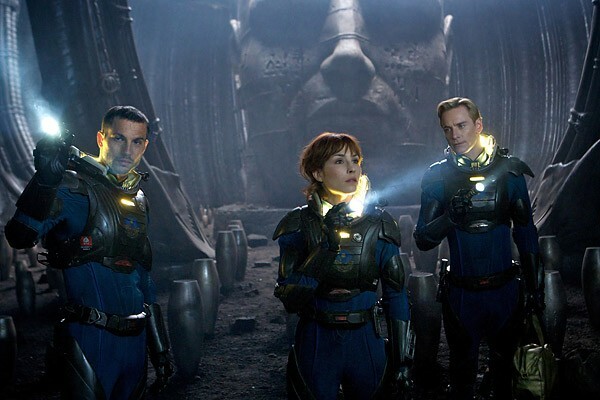 First up, Ridley Scott has been hinting at a sequel to his recent sci-fi opus Prometheus, with sources pointing to a 2014 or 2015 release date. It seems Scott and studio Fox have been discussing the mooted follow-up with potential writers and aim to continue the story of Noomi Rapace’s Elizabeth Shaw and Michael Fassbender’s David (or rather, David’s disembodied head) and their journey across the skies. Damon Lindelof, who penned Prometheus, will apparently not be returning so it’ll be up to someone else to disentangle the many, many…many unanswered questions left in the film’s wake. This certainly has immense potential, particularly if the new scribe can burrow to the depths of that deep and twisting rabbit hole and provide some insights into the Alien-centric universe. It also looks to be a healthy prospect financially, as Prometheus garnered $303 million worldwide – not remarkable but certainly encouraging. Scott himself is busy with multiple projects, not least the much-vaunted sequel/addendum to Blade Runner, so this may not see the definitive light of day for some time. Elsewhere, Bryan Singer has been talking up the sequel to last year’s delightful X-Men: First Class. According to a video posted on IGN, the next film in the mutant universe shall be entitled Days of Future Past and will draw some inspiration from the comic of the same name, which sees Kitty Pryde tasked with preventing a horrifying future where mutants are placed in internment camps and guarded by robot sentinels. Most tantalizing of all however is the suggestion that the film may draw a closer line between Singer’s X-Men films of the early Noughties and Matthew Vaughn’s more recent take on Xavier and co. The latter is once more scheduled to direct, and considering the thrill of last-year’s origin tale of the noble and crusading Xavier versus the cerebral Erik Lensherr (Magneto), this is a most exciting prospect indeed. Finally, Thor 2: The Dark World is up and running with a scheduled release date of November 2013. Latest word from the Asgardian camp is that Christopher Eccleston is in the process of being cast as the baddie, replacing Mads Mikkelsen in the role of Malekith the Accursed. Plot details are scarce (as in non-existent) at this stage, but the addition of the Ninth Doctor Who to an already sublime cast (Chris Hemsworth, Natalie Portman, Tom Hiddleston, Anthony Hopkins, Idris Elba, et al) is more than enough to keep the anticipation brewing. Busy little bee is the sequel mill this morning.